Symantec, makers of Norton antivirus software, currently has remote jobs open in over 40 states, including California. According to employee reviews, the company in general also has a liberal approach to working from home, provided your manager is in the loop. As I write, remote openings include Writer / Editor, Consultants, Commercial Customer Success Manager, Enterprise Customer Success Manager, District Manager, Software Engineers and many more. To access the jobs, go to Symantec’s careers page. In the “Filter By” field enter “remote” without quotes, and search. Then under “Locations” click on “More” to see openings by state. 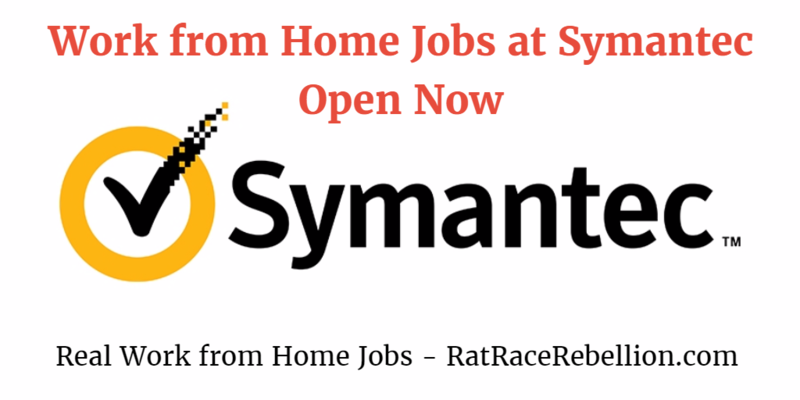 This entry was posted in Work at Home Jobs and tagged Symantec. Bookmark the permalink.